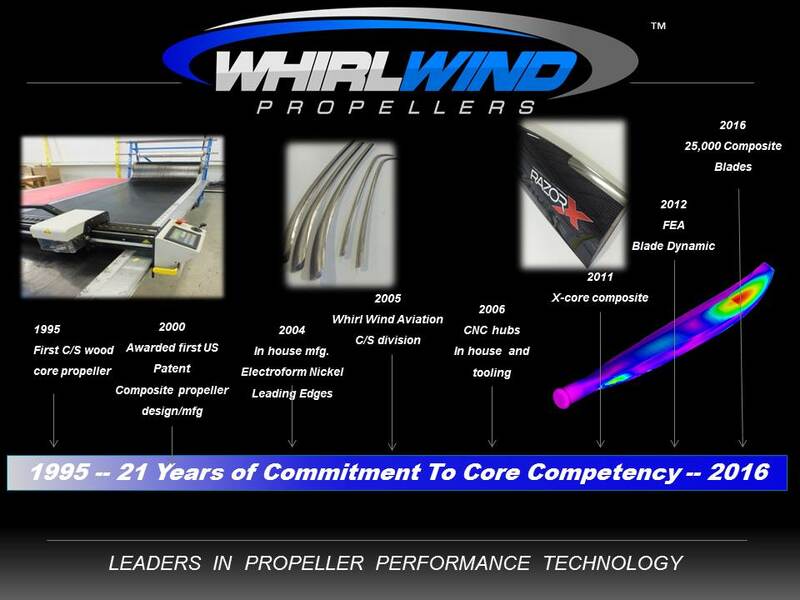 Whirlwind Propellers was established in 1995 to meet the growing demand for composite constant speed propellers. 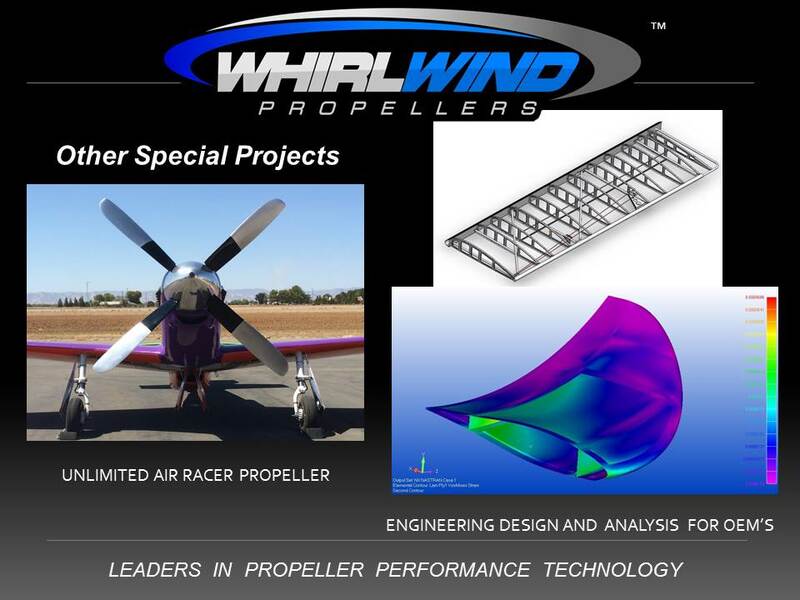 Since the beginning, WhirlWind has earned high praise from airshow performers, aerobatic competitors, air racers and sport aviators for propeller performance and reliability they demand. From our humble beginning of manufacturing blades from wood/composite overlay to today’s advance patented all-composite closed mold net-shape blade manufacturing process, Whirlwind Propellers has manufactured over 25,000 blades. We are a truly vertically integrated Co, using latest CAD solid modeling, FEA simulation, and CNC machining, proprietary composite molding process to laboratory destructive testing and on aircraft vibe surveys. But most importantly, we are just passionate about airplanes. At WhirlWind, your comments or questions are always welcomed, so please don’t hesitate to contact us!